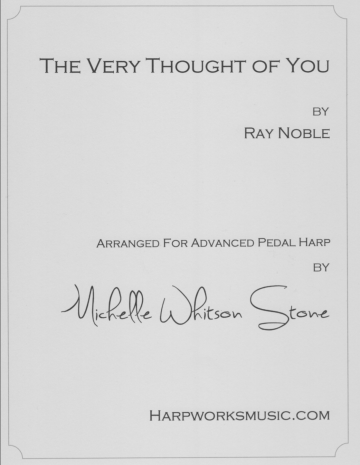 Length: harp score is 18 pgs. ; horn and cello parts are 10 pgs. These pieces represent a variety of traditions—”Patapan” originated in France, “A Babe is Born” and “Saw Three Ships” hail from England, “Rise Up Shepherd” is an American Spiritual, and “Tu Scendi All Stelle” (“You Came Down From the Stars”) comes from Naples. These beautiful melodies, which have have been passed along for centuries, all share an anonymous origin, penned by some unknown person to whom we owe our appreciation and thanks. The arrangements themselves are freely done, with the addition of harmonic variation and counter melodies.